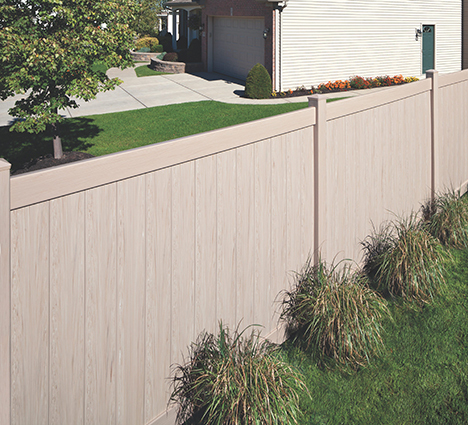 Introducing a new color option for Chesterfield CertaGrain vinyl fencing - Canyon Blend. 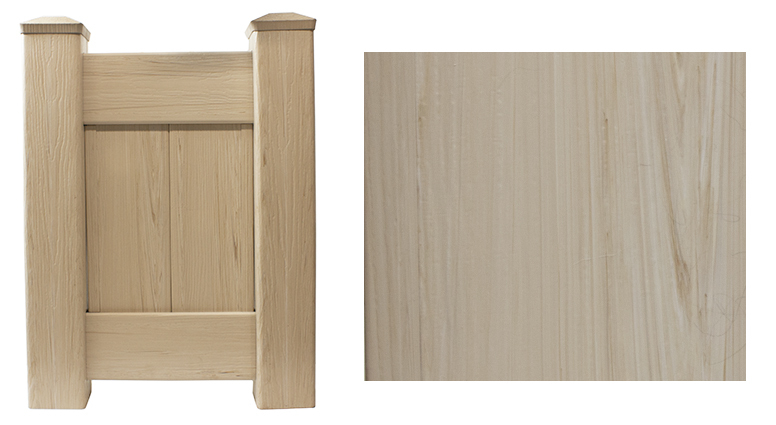 Canyon Blend is a traditional beige shade that is aesthetically pleasing. Every year more and more home owners move away from the traditional white picket fence look and opt for a color and style that is as unique as their personality, which makes us very excited to offer these two new colors for Bufftech vinyl fencing. Canyon Blend along with Timber Blend, the other new color available from Bufftech, provide even more options for consumers to help make their vinyl fence match the architectural style of their home. Bufftech vinyl fence offers ColorLast fade protection so you know your vinyl fence will keep up it's appearance no matter how many thousands of hours it spends in the sun. This exclusive feature on our vinyl fence provides superior color retention and longer-lasting color when compared to competitive products. The ColorLast acrylic formulation provides superior protection from the harsh sun rays, and keeps colors alive and vibrant for the life of the fence. 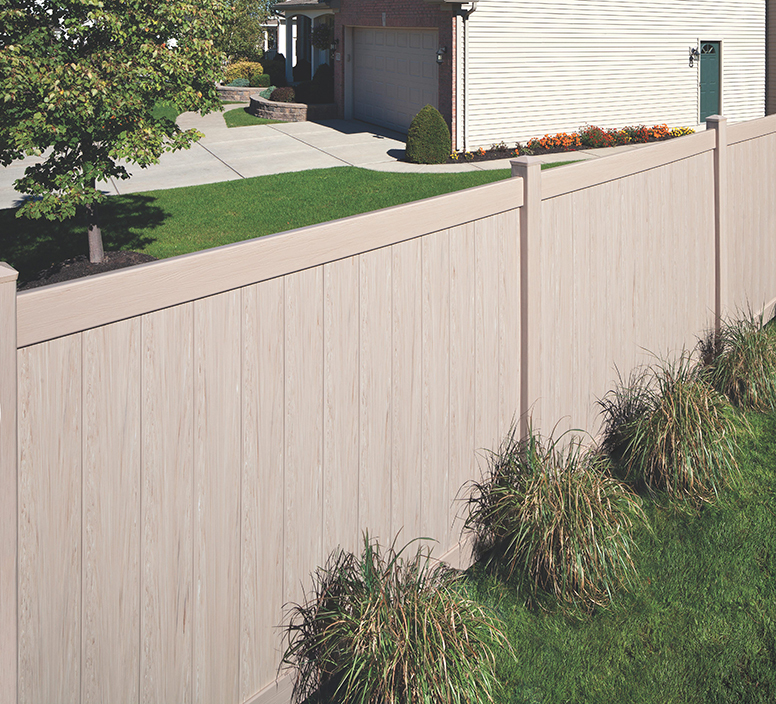 Bufftech lexington privacy fence is backed by an outstanding lifetime limited warranty, including our exclusive SureStart protection. SureStart covers warrantied repair and replacement costs - including labor - for a period of five years after installation. While most of our competitors sell a 6 ft wide fence section, Bufftech's Chesterfield CertaGrain vinyl fencing comes in 8 ft sections which can save you both time and money. The 6' height Chesterfield CertaGrain vinyl fences feature WindZone certified protection, so you know your fence can stand up to extreme winds. Canyon Blend Chesterfield CertaGrain features a design that has the same look and texture of a wood fence, with virtually no maintenance. Each fence section is reinforced with a steel bottom rail, making our vinyl fencing strong, yet still affordable. Choose a Bufftech vinyl fence to save money, save time, and invest in your property. With a distance style that requires little to no maintenance, there's no better choice in vinyl fencing. Shipping is available in the USA, Canada, Virgin Islands, Mexico and many other locations around the world.